The two families are linked by long friendship and creative collaboration. Alexander Rybak’s grandmother was the first music teacher of Mikhail Kazinik – the musician and cultural worker, but Alexander’s father – was his childhood friend. Despite the fact that Alexander Rybak has become a pop star, he remains faithful to classical music, which lives in his heart since childhood. The guests at the concert enjoy a fascinating kaleidoscope of melody performed by father and son, who touch the finest strings of heart and soul. 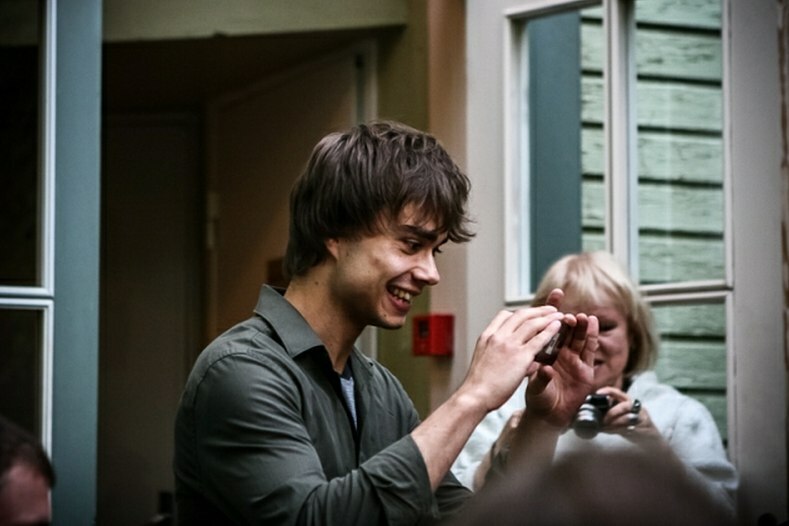 Alexander Rybak by his every step still forces girls to squeal and cry <-- Of course! I would cry and squeal too if i meet him!